Top quality custom built home in popular Paradise Estates offers luxurious living. Built by Neubauer Jennison Construction in 2005 this 2487 square foot home has all the amenities, including a 3 car garage with room for a shop, his and her master bathrooms and a huge walk in master closet to mention just a few. Expansive windows take full advantage of the incredible views of Mt Tom, the Wheeler Crest and Round Valley. 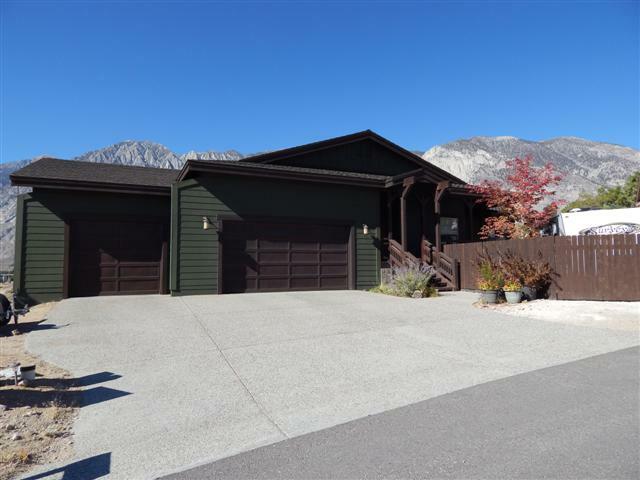 Fenced yard plus parking for an RV, decks to admire the view and an open floorplan with an efficient and beautiful wood-burning fireplace in the spacious living area. Gorgeous granite counters, stunning bathrooms and hand-scraped wood floors in the living area will make you catch your breath. Take a look at this beauty and you'll fall in love!